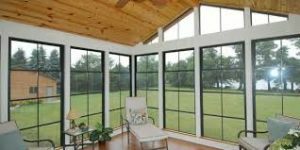 Eze Breeze Reviews 2018 - Safe + Quality Windows For Your Home! 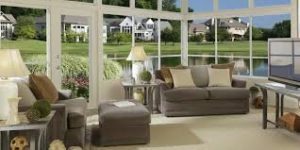 / Eze Breeze Reviews 2018 – Safe + Quality Windows For Your Home! 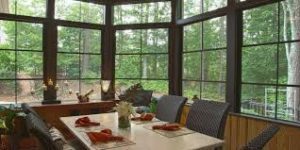 Eze Breeze Reviews 2018 – Safe + Quality Windows For Your Home! Eze Breeze are specialists in making use of your available outdoor space. They have over 30 years experience of creating quality doors, windows and other solutions to expand the home, including porch enclosures. In this Eze Breeze reviews guide we will talk about Eze Breeze, their values, reviews of their products, and their warranty information. They believe in only creating the strongest products and never compromise on quality. They are committed to innovation, testing, designing and adapting products so they’re the best they can be. Using the latest materials and technology they’re creating some really inspired solutions. They believe in creating a bond of trust with customers, taking responsibility for all of their products. They’ve built a reputation for creating reliable and long lasting products. With stringent checks throughout the whole production process Eze Breeze keeps a close eye on how their products are created. From materials to delivery they work to keep the process as smoothe as possible. They know how important family is and a lot of their products have been designed with families in mind. Eze Breeze keep the customers in mind with everything they do. They’re looking to meet specific needs of the customer and fit the requirements of the user as best as possible. The end result is some products that are combining useful practicalities with the latest style trends. With traditional and modern choices, there’s an addition available for every home. Eze Breeze Porch Enclosures are designed to make the outside part of the inside. They use durable materials to keep the elements out, but remain within reach, giving you the best of both worlds. Modern ventilation systems allow for the free movement of air and can be adapted to slide horizontally or vertically. Used to give you the best air supply the Eze Breeze Vertical Four-Track features 4 panels which slide open to allow air in. It’s a big improvement over traditional screens. Designed to be simple and easy to use, the Eze Breeze Horizontal Slider can be opened with just one finger. Built with corrosion resistant, neoprene rollers the Eze Breeze Horizontal Slider gives a fresh and open feel to your home. 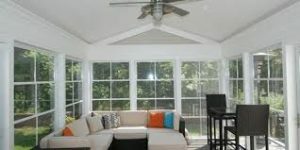 The Eze Breeze porch enclosures are perfect for keeping the bad weather out, but letting cool refreshing breezes in. Their new products can be used in a variety of spaces and allow you to get the most use from your home. Eze Breeze offer full cabana doors with fitted vents. They’re a perfect companion to their vents and come in a range of colours, including beige and white. There are single and double doors available with in swing or out swing mechanisms. The Eze Breeze Cabana Doors features their innovative Z-Bar frame which makes it simple to fit in any area. They’re built with a standard 14 ¼ inch kick plate and ⅜ inch saddle threshold. There are standard measurements but custom sizes can be requested. The Cabana Doors are a perfect compliment to their venting systems, and they do a good job of building them straight into their doors. The doors seem well built and have features you’d expect from a solid product. We’re using all the available space these days and if you’re thinking of making more of your garage then Eze Breeze have some good solutions. When converting your garage into a playroom, office or gym you’ll want the same protection from rain and other bad weather, but you’ll want to let the sunlight in. Most importantly you’ll need to allow the breeze in with fresh air. Built with solid aluminium frames, panels are then fitted onto the top, allowing for a horizontal opening motion. The frames themselves will be custom made to fit your specific garage size. Neoprene wheels keep the panels in securely and a kick plate is attached to give added durability. 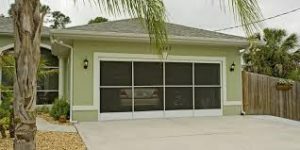 The Eze Breeze garage door enclosures let you convert your space efficiently and effectively. It’s a great choice if you need some extra room in your home. Eze Breeze have over 30 years experience in creating ventilation systems, windows and doors. They have expertise with a number of materials and use some of the latest techniques to design and build their products. They offer expert protection from the elements but clearly know their ventilation systems well to let you make the most of outdoor enclosures. They’ve adapted their products and now offer a range of choices to help you solve any specific problems you may have in your home. Their units are factory built which does limit how customisable they are. There are custom sizes available but they can be a little pricey. You won’t find the same build quality as more expensive door makers who manufacture their products by hand, but their quality is still pretty high. They combine useful components and create doors, windows and enclosures that are consistently useful and stylish. Whichever products you pick from Eze Breeze you’ll find a number of choices available to make it personal to you. Firstly you can choose your ventilation system and the materials used. This makes a big difference to the look and feel of the Eze Breeze systems. You can even look at the selection of doors they have and find one which suits your home. Choose from various styles and shapes for your ventilation to fit the space you have available. Fitted with various motion mechanisms they allow for horizontal or vertical lifting. They’ll let the air in without disrupting your home. Finally there are a range of colours that can be used. Frames range from very neutral beige colours to more exotic bronze. The screens themselves are normally available in charcoal or grey, but you can choose white. Eze Breeze has matching products for most of their collection so you can build areas in your home that work well together. The design and style choices let you keep the products suitable for you. So check out all the options before selecting your products. “We love the perch and the versatility the system provides. They are custom fitted to your structure. Would definitely do it again.” - Matty C.
“The windows were a real bargain, but the sliding door was WAY overpriced for a single pane door. 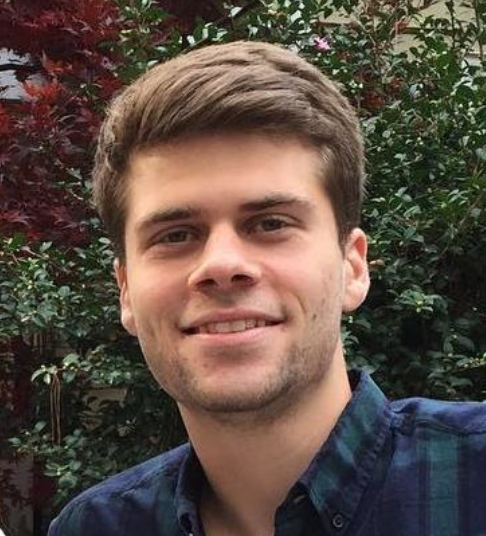 That being said, the price is pretty high, but at least the quality is high.” - Frank R.
In the home furnishings industry you do often get what you pay for, so for quality you have to be prepared to spend a little more. That being said it’s worth browsing the full product selection and even a range of suppliers. That way you’re most likely to find a bargain and give yourself some value. To help you protect your investment Eze Breeze offer a compeitive warranty to back up their products. The frames are covered by a lifetime warranty and the mechanisms, sliders and moving parts are covered for 10 years. This warranty covers all workmanship and material defects. If you aren’t sure then speak to your supplier about what’s covered by the warranty, it’s always good to know where you stand. Eze Breeze is offering some pretty unique and useful products. They have solutions for a lot of different problems and seem reliable and trustworthy as a company. They have over 30 years experience and have proven they know their products and customers well. It can be a big project converting some of your home so it’s important to use the right products from the right company. That way at least something can be done simply and you have elements you can rely on. If you are looking for another option for great windows then take a look at Jeld Wen windows as well! Eze Breeze aren’t inexpensive but for what they’re offering the price point seems about right. 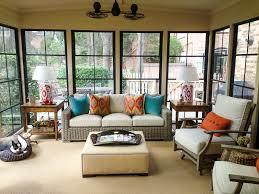 The materials are selected well and should create a durable structure that will last for years. If you’re looking to convert or add something to your home then use your available outdoor space as much as possible and consider some Eze Breeze products. Speaking of breeze, if you are looking to add a little circulation to your home, then check out a window fan like Bionaire!